It doesn’t matter whether you are an IT professional who is dealing with network cables and connectors daily or just a home user who is a newbie to the Ethernet network, you should get the top Ethernet crimping tool. This handheld equipment links up two different metal pieces (RJ connector and network cable) to hold them together for establishing an internet connection. The best wire crimping tool is capable of handling RJ11, RJ12, RJ45 connectors as well as Cat5, Cat5e, Cat6, Cat7, and Cat7e Ethernet cables. Today I will review some of the most sought network cable crimpers and also show the essential top things to buy the best wire crimping tool. How to Buy the Best Ethernet Crimping Tool? 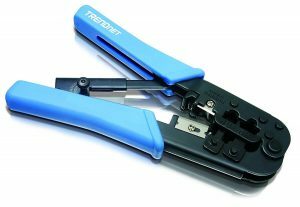 This is the best RJ45 crimper from TRENDnet which can also work on RJ11 and RJ12 connectors of 6 and 8 positions modular plugs. This three in one tool can crimp, strip, and cut the Ethernet cable types like Cat5, Cat5e, Cat6, and Cat7. Weighing only 0.7 lbs, this network cable crimping tool is exceptionally portable and easy to carry. It is a three-in-one tool that means you don’t need to buy a cutter and stripper separately. Made from a pure stainless steel material which means it is durable for more extended and daily use. The interchangeable blades make the design look more sturdy and nice looking. The rubber grip on the handle makes sure that you have a comfortable and robust carry of the tool. Due to its ratchet mechanism and affordable price, even the newbies can use it without any hassle. The blade alignments may make the stripping or cutting task somewhat difficult, especially to the beginners. Size is not pocket-friendly, so you need to carry it in your tool-bag while traveling. Due to multiple functionalities, compatibility with almost all kinds of network cables & connectors, and budget-friendly price; all together make this TC-CT68 from TRENDnet is a top-ranked RJ45 crimper today. Klein Tools designed the VDV226-011-SEN which is ratcheting equipment to crimp, strip, and cut modular connectors and network cables. The stainless steel material with black oxide finish gives it a sturdy look and makes it durable for years. Because of the ergonomic design of the handle, it is easy to operate and provides an excellent safety while you are crimping. The ratchet mechanism helps to save money by buying additional tools for stripping and cutting. Also, it makes the release easy after you successfully crimp the modular plug connector. After use, you can conveniently store it due to its locking feature. 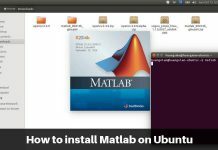 It will help you to get a secure and reliable installation for your data and voice applications. 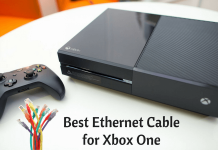 It works on both flat and round Ethernet cables. You may end with a cut in the wire if you don’t use it with extreme care, all due to its sturdy and release ratchet mechanism. Price is in mid-range, so I afraid the newcomers will skip this tool from buying. This Klein RJ45 crimper is a mid-priced, safe, easy-to-operate, fast working and durable equipment. 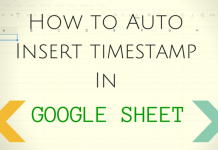 If you are a professional user, then it is a worthy product to have in your toolbox. This HD Ethernet crimper from Platinum Tools is designed to provide reliable, consistent, and secure performance over and over again. The ratchet builds with a comfortable grip gives a safe and high-quality handheld tool to the user. This tool is perfectly suitable for the thick, large, and heavy-duty Ethernet and telephone cables. It is marked with lasers to mark the sequence of Ethernet wires easily. It works on RJ11, RJ12, and RJ45 connectors as well as modular plugs and rated as the best Cat6 crimper in the market. Inbuilt stripper and cutter save your money and gives comfortable operations of cutting, stripping, and crimping all at once. It makes a surface to surface contact which ensures you do not have to face an insecure connection or loss of RJ45 connectors. The zero-flex frame design with 3600 connector support helps to retain the torque to allow a convenient use. It will not release the modular plug automatically after the crimping is done. 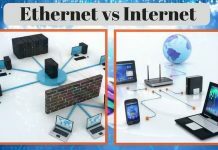 This may cause difficulties to the newbies while dealing with the RJ45 connectors. The cost is a little bit high. The RJ45 crimper from Platinum Tools is able to handle a variety of modular plugs with different positions as well as various types of flat and round Ethernet cables. I got this tool for my work and never disappointed with it until today. Though this equipment from UbiGear can deal with any kind of Ethernet cable, the users rated it as the best Cat5 crimping tool in the market. This toolkit includes one cable crimper, one tester, one stripper and a pack of 100 RJ45 connectors. It helps to strip or crimp any network cable to your modular plug or RJ45 connector. Free tools like a wire tester and cutter help to save some money. The leather-made protective case provides extra safety during crimping or stripping. It is available at a cheaper price compared to other standard RJ45 crimpers, and that’s why the beginners will love to get this tool. One-year warranty from the company ensures a hassle-free purchase. You will need to buy the batteries for the tester separately. It would be good if included in the kit. Doesn’t come with the cutter, so for only one additional tool, you will need to search in the market. Due to the cheap-priced product, the durability may not as efficient as other top branded RJ45 crimpers. 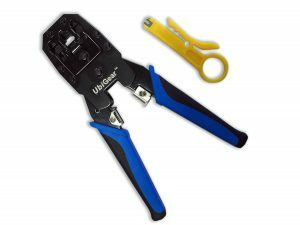 If you are a beginner who is looking for a cheap RJ45 crimper, then you can pick the UbiGear crimping tool as a good option. 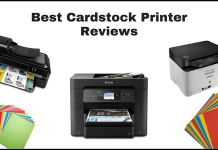 Be aware of the product’s resistance, reliability, and durability though. 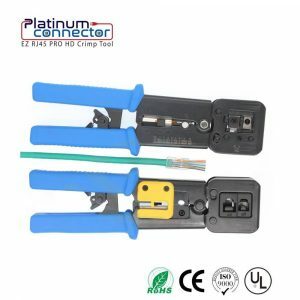 The heavy duty crimper from Platinum Connector will provide you reliable and secure Ethernet network connection over your various applications. It can handle any type of telephone or Ethernet cable as well as can crimp multiple kinds of connectors like RJ11, RJ12, RJ45 and other modular plugs. Stainless Steel build provides exceptionally durable performance. Black oxide finish makes it rust and corrosion resistant. The safeguard ensures an extra safety during the crimping, stripping or cutting of wire and modular plugs. Ease of use with non-slip gripping on the handle makes this tool more user-friendly. 90-day money back guarantees from the manufacturer help in getting a worry free purchase against the money. Though it is good as any other top-rated equipment, the professionals may find it too easy to handle. Price is too high for the beginners to take a risk. 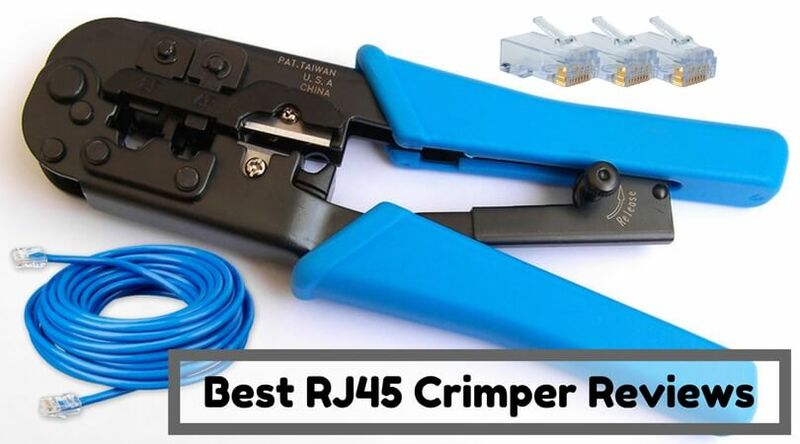 Superior build quality, money-back guarantee, and long-lasting stability help the RJ45 crimper from Platinum Connector to gradually become the most favored tool for networking. Check the below considerable features before you buy the network cable crimper for personal or professional use. If you want an Ethernet crimper for professional application where you will need it daily and for a longer time, then you should go for a tool made of the stainless steel. It may cost you more, but they will last longer due to sturdy built. But if you want a crimper for occasional use then you may go for the cheaper priced fiber or plastic build tools. Here, size is not the measure of the width and height. But, the crimper you are buying should be able to conjoin 4, 6, and even 8-position modular connectors. Check which type of the grip the tool has on the handle. Don’t go for the plastic made grip as it may become smooth and slippery after a few period. Though you may not need to go for a replacement or refund for a crimper, in case, if you got a defective piece, then a manufacturer warranty can help. So check whether the product comes with any warranty period or not. Only purchase the genuine RJ45 crimper with a good warranty. This thing depends on your overall budget. If you are setting up a new custom network and want a crimping tool for some time, then you can go for cheaper options. 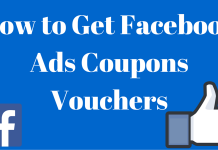 But, if you are eyeing for a value for the money tool, then go for branded crimpers which can go beyond $100 price. The crimping tool that you are buying should be able to deliver for a longer duration, and that is with consistency. 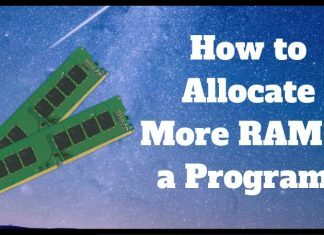 It should provide reliable performance with various cable and connector types in repeated operations. Doesn’t matter how many times you are using the tool in a single day, it should deliver the top performance every time. 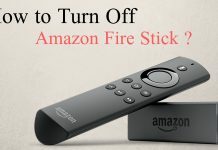 Otherwise, you will end with a faulty connection and may have to repeat the process of crimping with a waste of connector. Compatibility with different types of connectors and network cables are a must thing for a good-quality crimping tool. If you are dealing with only RJ45 connectors, then you can go for a specialized RJ45 crimper. But, having something extra functionality gives you a bonus over your choice. Many brands are building three-in-one tools (Crimper + Stripper + Cutter) which help the professionals a lot by relieving them from buying extra equipment. Also if the machine has the ratchet design in which the crimping and cutter section closed automatically after a successful Ethernet crimp operation, then it’s gold! An Ethernet crimping tool is handheld, affordable, and good-to-have equipment, especially for the professionals who deal with wires daily. 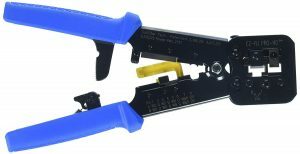 I covered the best RJ45 crimper reviews and a buying guide for getting the perfect Ethernet crimping tool. Hope you liked it and will share with your buddies too. Which crimper will you prefer for your needs? And how you will be using it for your work? Feel free to share your thoughts and experiences in the comment section below.